In wonderful contrast to the previous weekend’s FFTS15 exhaustion (though mild compared to many of the crew), last weekend was characterised by all day drinking and sleeping for 10-12 hours at a time. I feel much better. This is a delightful little spot. It’s a dinky, wood lined little pub up a rather exclusive and well hidden alley (which also hides the amazing and best coffee shop in Nottingham: The Coffee House of Nottingham). They’ve got an amazing well stocked craft beer selection, and no Carling-style filth in sight. There’s also a giant stand of ciders, should that be your weakness. This is a bit further out of town, but since Parky had a with cricket we proposed it as an intermediary between drinking and getting him to the cricket on time. I’m glad we did. It’s a lovely pub with nooks and crannies in the bare rockface. It’s a place I’ve mainly eaten at before (and happily), but it meets the real ale / craft beer requirements of the pub crawl too. 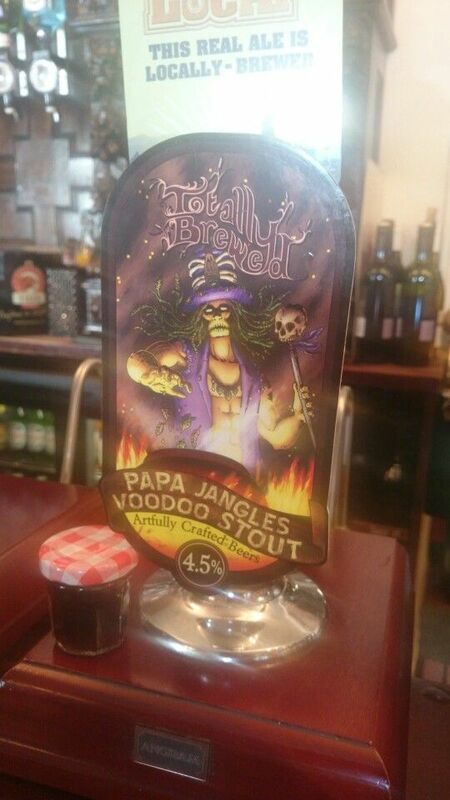 I was unable to resist Totally Brewed’s Papa Jangles Voodoo Stout which set me firmly on the dark beer path for the afternoon. I’ve known about this place for ages, but it’s proven just too far up a hill to draw me in before. It has, of course, been a regrettable error on my part. This is Blue Monkey Brewery’s Nottingham pub and serves a dray’s worth of their ales. We weren’t in there for long, but I’ll definitely be back. I’ve enjoyed all their beers so far, but my eyes and tongue were drawn by a guest bottled ale: Brooklyn Brewery – Black Chocolate Stout. 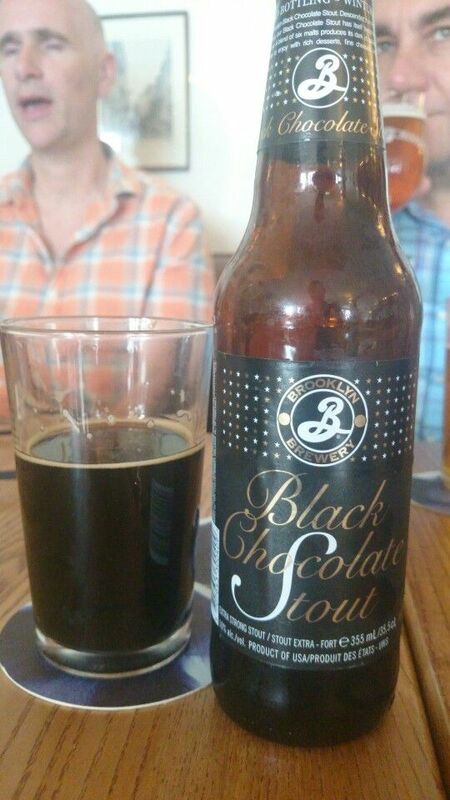 I can’t avoid chocolate stouts even if they do have a hideous £5 a bottle price tag. 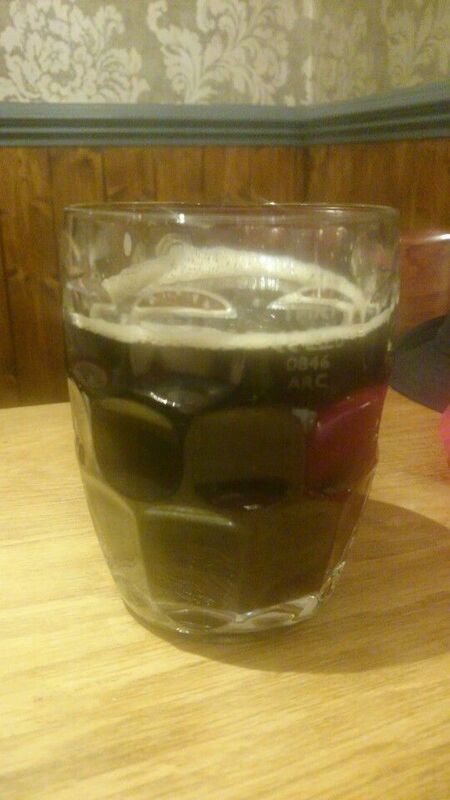 I’d already had two pints, it was hot and a 10% beer… Tasted of rich Russian aristocracy. I like the Roundhouse, it’s round and has nice furniture. They don’t have the most dramatic range of beers but they usually have a good small selection. 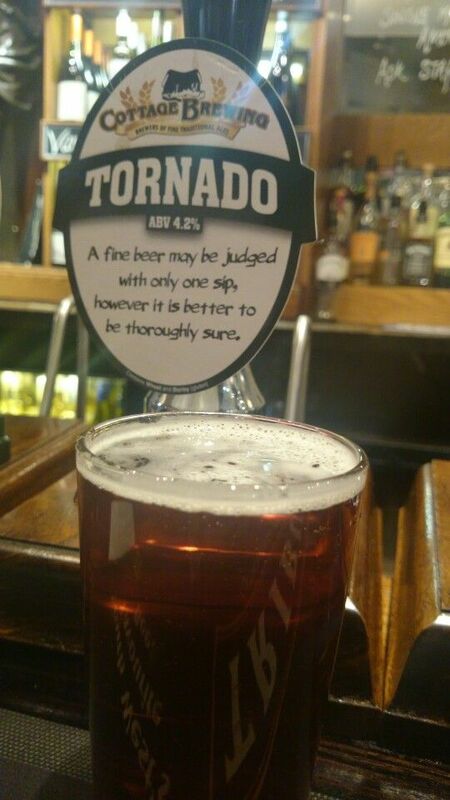 I went for Cottage Brewing’s Tornado, which was about the darkest they had. It was a refreshing and light beer to consume outside. I guess it was a good break from the rich and hard stuff. The sun was starting to addle my brain by this point (it definitely wasn’t the beer) and I proposed another diversion on the semi-planned beer route. The Ned Ludd’s been a favourite of mine since it opened. Partly it’s the oddly shaped ground floor (I think it was an employment agency or something before its refit) and green leather, as well as an upstairs I’ve never seen, but mainly it’s the fantastic selection of strong ales on tap. I’ve spent several nights perched on tall chairs there, ogling the taps. At this point my photo diary attempts fell apart, and I’ve had to resort to the Ned Ludd’s Facebook feed to figure out what I had to drink… I had Atom – Dark Matter. It’s another irresistible chocolate stout (plus oatmeal!) and was inevitably lovely. It was crazily warm sitting in the window, which confirmed that I really ought to go home. Originally we’d planned to see Minions afterwards, but the showings were almost entirely full. Just as well, I was pretty much fucked. The mob managed another couple of pubs, including The Junkyard, which is another fine pub/hipster bar deserving its own review. For my part I did very little else that day. Interrobang is part of the Derby Comedy Festival. The only show of its kind in Derby, brought to you by MissImp & Furthest from the Sea Music, Comedy & Arts, features an improvised comedy jam in which everyone can take part, followed by a showcase of the best improv in the region. This is going to be awesome.